If you’re curious about traveling to Thailand as a solo female but are a little worried about safety (or your family and friends are! ), fear not! 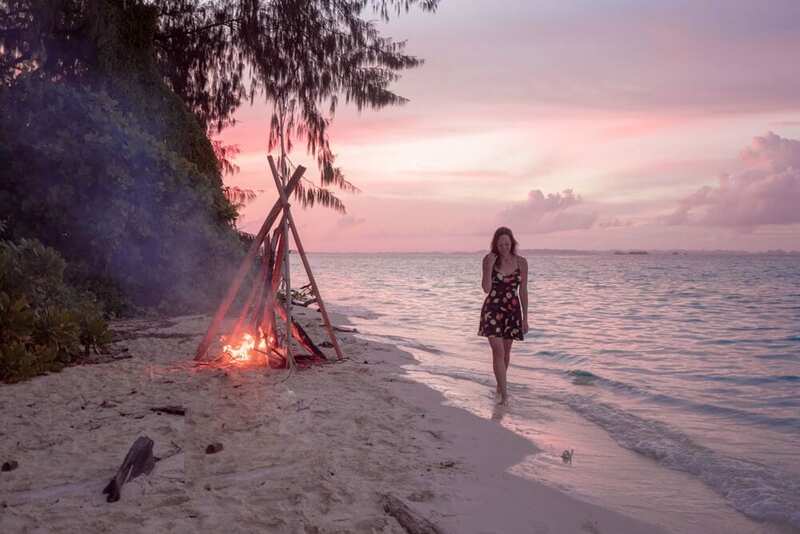 We’re here to give you the top tips on how to stay safe while enjoying solo female travel in the Thai islands. I recently returned from another jaunt to Thailand, this time focusing on Koh Phangan and Koh Lanta. I had an incredible trip and thankfully didn’t run into any problems thanks to using my common sense and pre-planning to ensure my safety to the best of my ability! There are so many Thai islands to choose from that it can be difficult to narrow it down. While some of the more peaceful, remote islands may sound idyllic (and they are! ), for your first trip you might be better choosing an island with a bit more infrastructure. 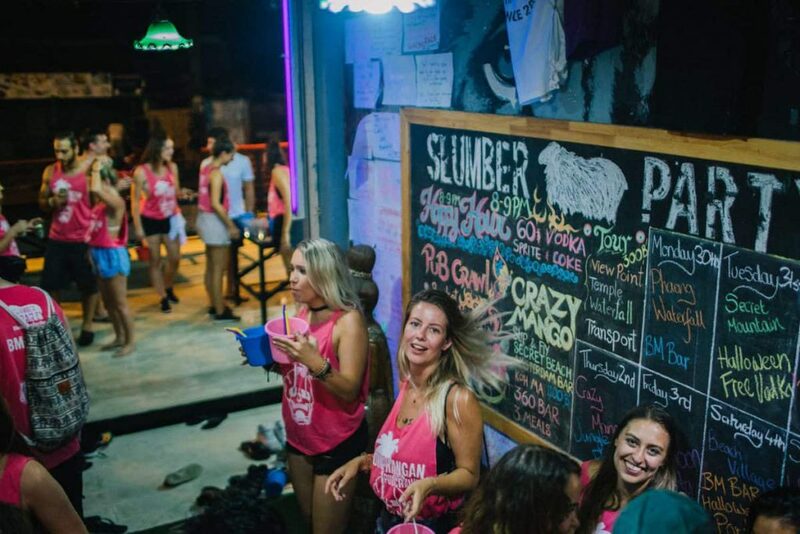 The popular islands like Koh Phangan, Koh Tao, Koh Phi Phi and Koh Lanta, already have famous hostels in place (where you can meet new friends), great transport links and an awesome selection of food and fun activities. There are loads of backpacker buses that make their way from Bangkok to Krabi or Surat Thani to connect with the Thai islands and while these are, on the whole, pretty safe and packed with tourists or backpackers like yourself, if your budget allows you may want to opt for a short flight instead for your first journey. Once you’ve travelled a bit more throughout the country and are feeling more confident, you can always get an overnight bus on the way back. 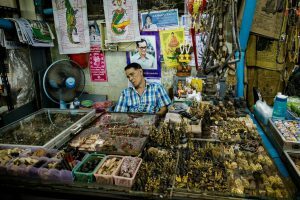 Flights from Bangkok to Surat Thani are usually in the region of $30-40 so it hardly breaks the bank and for a feeling of security and a saving of about 10 hours, you’ll probably think it’s worth it. If you do want to get an overnight bus (usually around $15) it’s best to book the transfer through your hostel so that they can arrange transport from your accommodation to the bus and you’ll know you’re not being scammed out of money for a bus that will never turn up. The bonus of booking through your hostel too is that you’re likely to meet new pals who are travelling on the same route so you can chat before the journey even begins! One of the best ways to meet new people while travelling (aside from staying in dorms at hostels) is to take part in day trips and activities. Whether you opt for a snorkelling trip, PADI course, party boat or yoga class you’re bound to make new friends. The Thai islands are famous for their great range of activities and pretty much every hostel, shop, café and travel agent will have flyers on trips available. Most people travelling to the Thai islands choose to explore by renting a moped. If you have ridden a moped or motorbike before, and feel confident doing so, then this is the best way to go! You have total freedom of where and when you travel so you don’t have to worry about a thing. If you haven’t ridden a moped before, a quiet island may be a good place to learn, or you may just want to stick to public transport. Most Thai islands have a mix of tuk-tuks, motor-taxis and songthaews to help you get around and with nearly all journeys costing less than $5, transport shouldn’t eat into your budget too much. Islands like Koh Phangan have official motor-taxi services (look out for the people in orange tabards) and some of the drivers are female which is a great choice if you don’t fancy riding on the back of a bike with a male driver. If you can, it’s best to avoid travelling on public transport at night, unless you are travelling with a group of friends from your hostel. With cheap beers, buckets and cocktails galore it’s easy to get carried away on a night out on the Thai islands. However, if you’re travelling solo and don’t know anyone yet, it is best to know your limits and keep your drinks to a safe amount. While we get to know new hostels friends really well, really quickly, if you’ve never been on a night out with these people you may just want to take it steady. 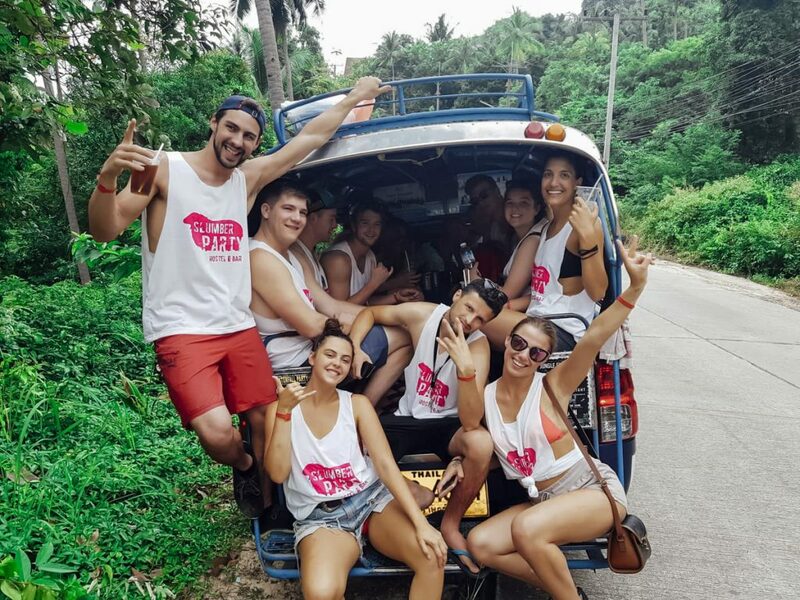 Group bar crawls are a great idea if you want to go hard as the leader keeps an eye on travellers and the team camaraderie will hopefully ensure no-one gets lost or into any trouble.